Canon Pixma MG2450 is an affordable and attractive all-in-one printer for SOHO users. The printer offers all the basic functions, including, printing, copying, and scanning, that a home office might required. The easy-to-install device also support intelligent web printing technology and provide USB connectivity only. The Canon Pixma MG2450 is a sleek designed printer with small footprint. The device weighs appox. 3.5kg and has a rear input tray with 60 sheets capacity. The printer has a flatbed document and photo scanner. Unlike many other all-in-one printers in the market Pixma MG2450 does not offers a display screen along with its button control panel. The printer supports XL Canon Pixma MG2450 ink cartridges that help you save a lot on printer’s running cost. The Canon Pixma MG2450 is low cost printer for home user that fulfills all the basic printing requirements. However, the device lacks many advanced features like, wireless connectivity, PictBridge ports, and fax, that other small all-in-one printers in the market are offering. If you are looking for a printer for your office or professional photography work, this one might disappoint you. How to re-install Canon Pixma MG2450 ink cartridges? Power on your printer and make sure it is not on idle mode. Also, ensure that the computer and the printer are connected. Now go to printer setting and find ink cartridge setting. Then select replace ink cartridges. Open the cartridge access door of the printer, while keeping the device on. The cartridges will move and come into the replacement position. Push the tab on each cartridge, which will push them out. Take out these Canon Pixma MG2450 ink cartridges and keep them aside for replacement purposes. Gently shake the cartridges and remove the packaging material from the cartridges. But do not remove the label of the cartridge. Also make sure you do not touch the chip located at the top of the cartridge. This copper chip indicates the printer that new cartridges has been install. Install these new cartridges in the cartridge slots and push them in, until you hear a ‘click’ sound. This will make sure that the cartridges has been installed properly. Repeat these steps individually for each of the cartridges that required to be replaced. Once you have replaced all the Canon Pixma MG2450 ink cartridge close the cartridge access door. Now printer will start warming up these new cartridges. Wait for a few minutes until the printer stops making the processing sound and goes idle. Once everything is done, go to your PC and try to make a test print. The error message would not appear now. In case the error message still pops up, take out the recently replace cartridges and make sure you haven’t left any packaging material on the cartridge. Also, make sure the cartridge chip is clean. If not, clean the chip with a soft clean cloth and reinstall the cartridge. The error would be gone now. Q. Can I use compatible Canon Pixma MG2450 ink cartridges that you offer simultaneously with the original inks of this printer? A. Yes, the compatible Canon Pixma MG2450 ink cartridges that we provide work absolutely fine with the original ink cartridges in printer. The ink cartridges we provide are factory tested to the same ISO standards, as the original ones. So, one can easily use these cartridges. Q. How many cartridges are available in this printer? Q. I’m using Canon Pixma MG2450 printer for my basic printing requirements, but its original cartridges cost me more than my budget! How can I rectify this issue? A. You can rectify the high running cost, by using compatible Canon Pixma MG2450 ink cartridges for your printer. You can buy these compatible ink cartridges from Printerinkcartridges.ie. The compatible ink cartridges supplied on our site produce good quality results at low cost and are factory tested to high performance standards. Q. What is the maximum paper input capacity for Canon Pixma MG2450 printer? A. The maximum input tray capacity for this printer is 60 sheets for rear tray (plain paper). Q. What paper type and paper size is supported by this printer? A. The printer supports plain paper, envelopes, photo paper plus glossy paper types and A4, A5, B5, Letter, DL, Legal, 10✕15 cm, 13✕18 cm paper sizes. Q. Which operating systems are compatible with the printer? A. The printer supports Windows 10, Windows 8, Windows 7, Windows Vista, Windows XP SP3, Mac operating systems. Q. I’ve been using Canon Pixma MG2450 printer for my home use and suddenly the printer stopped printing. What can I do now? A. There could be the number of reasons why your printer won’t print. Make sure that the paper tray isn’t empty. Check the ink/toner cartridges aren’t empty. Either the USB cable is plugged in or there is Wi-Fi connectivity. Remove the paper jam, if any. Q. What is the difference between original Canon Pixma MG2450 ink cartridges and compatible ones? A. The main difference between original Canon Pixma MG2450 ink cartridges and compatible ink cartridges is that, original ink cartridges are manufactured by the printer company, that is, Canon. Whereas, compatible ink cartridges are produced by a third party company. Also, as compared to original ink cartridges, our compatible Canon Pixma MG2450 ink cartridges are cheaper and yield more pages while providing the same quality output. Q. Do Canon Pixma MG2450 printers come with functions other than printing? A. Yes, Canon Pixma MG2450 printers also come with scanning and copying functionalities that make them great for small office use. Q. Do Canon Pixma MG2450 printers support borderless printing? A. Unfortunately, Canon Pixma MG2450 do not come with borderless printing support. Q. I have been using my Canon Pixma MG2450 for a while now. However, recently I started noticing that my printouts are blurry and sometimes there are white streaks across my paper. What can I do to fix this? A. First of all, make sure that your Canon Pixma MG2450 ink cartridges are properly installed and are not empty. If the ink cartridges are inserted properly and you’re still facing a problem, you will need to print the Nozzle Check Pattern to determine whether the ink is ejecting properly from the print head nozzles. If the ink is not ejecting properly, you will need to perform a print head deep cleaning. Q. What are the dimensions of a Canon Pixma MG2450 printer? How is the print quality of this printer? A. Canon Pixma MG2450 printers are compact and lightweight, measuring about 426 mm in width, 306 mm in depth, 145 mm in height and weigh about 3.5 kg. The print quality is good, the MG2450 is capable of printing up to a resolution of 4,800 x 600 dpi. Q. Do compatible Canon Pixma MG2450 ink cartridges come with a warranty? A. Yes, we provide a No Risk Warranty of 30 days on all our products. If you face a problem with any of our products, please contact us on 048 308332211 or email us on info@printerinkcartridges.ie within 30 days of receiving your product. Just have the order details and invoice number ready and we will guide you through the process. Q. Is the Canon Pixma MG2450 printer suitable for home use? Is it cost-effective, easy to install and quick when paired with compatible Canon Pixma MG2450 ink cartridges? A. Yes, Canon Pixma MG2450 printer is ideal for home use too. It is easy to install, prints fast and produces high quality print outs. You’ll also be able to print more number of copies if you opt for Canon Pixma MG2450 ink cartridges for it. Q. What are the advantages of Canon Pixma MG2450 ink cartridges on account of their integrated print heads? A. Integrated print heads are known to yield superior quality prints. They also demand lesser attention and effort while changing the cartridges and are more economical in the long run as the total cost of per page printing is lower. Q. I use CL546XL Canon Pixma MG2450 ink cartridges regularly. Are these ink cartridges environment-friendly? A. Yes, your CL546XL ink are made from high quality new and remanufactured ingredients. And XL models print more pages, which means they are used for a longer time without having to be replaced. Q. How many pages can I print with black Canon Pixma MG2450 ink cartridges? Do PG545XL and CL546XL help print the same number of pages? A. Yes, both cartridges print the same number of pages (400) in black. Q. Is there a chance of my printer warranty turning void with use of compatible Canon Pixma MG2450 ink cartridges? A. No, manufacturers won’t be able to deem your printer warranty void if you opt for compatible ink cartridges unless they cause actual damage to the printer, which doesn’t occur. Q. Are compatible Canon Pixma MG2450 ink cartridges suited to other range of Canon printer besides MG? There are different range of Canon printers at my office and I was considering buying these ink cartridges in bulk. A. Yes, these cartridges are perfectly compatible with other range of Canon printers such as MX and iP. Q. How many pages a black Canon Pixma MG2450 ink cartridge can print? A.The volume one cartridge can print depends upon the intensity of colour you want on the prints and the frequency of printing. Our compatible Canon PG545XL ink cartridge yields high result of printing approximately 400 pages using black ink cartridge. Q. I wanted to buy the compatible Canon Pixma MG2450 ink cartridge. Your site mentioned the cartridge as Canon PG545XL ink cartridge, what does XL stand for? Are they bigger in size? A. The ‘XL’ doesn’t specify the physical size of the cartridge. It specifies the volume of ink it has. The Canon PG545XL ink cartridge has more amount of ink within the same physical size. They fit perfectly as the original ones. You need not worry about the size rather they must be preferred for their high efficiency. Q. I want to order Canon Pixma MG2450 cartridge on monday and wish to receive it by Friday. Do I need to write a mail or call the customer care to request fast delivery of the cartridge? A. No, you need not do anything of such sort. All our deliveries are made within 24 hours of placing the order, though it depends on the availability of the cartridge. You can call us on 048 30833221 to check stock if your order is urgent. And if your cartridge is available your order will be delivered within a day. Q. Can I use a combination of original and compatible Canon Pixma MG2450 ink cartridges at the same time? A. Usually the compatible cartridges are installed in group and not individually with other cartridges. Though most of the Epson printers allow you to use both original and compatible cartridges together but with new updates this functionality might be altered. Both would work efficiently but we would recommend you to install compatible cartridges as they are cost effective and yield equally efficient results as the original cartridges. Q. I have ordered Canon PG545XL ink cartridge and was wondering when will I receive my order? A. Our deliveries are by third party courier. It usually takes 1 - 2 working days for the delivery. Though the delivery time of the cartridge may vary upon the workload of our courier partners. The fastrack couriers have punctual delivery record as of now. If you still have any query or doubt related to the same feel free to call customer support services on +44(0)28 308 33221 or drop a mail to us at info@printerinkcartridges.ie. Q. Does the compatible Canon Pixma MG2450 cartridges have lesser ink than the original cartridges since they are cheaper? A. The cost of compatible cartridges has no relation with its quality or efficiency. The compatible cartridges are the refilled/remanufactured version of the original ones hence are priced lesser. The volume remains the same in both. Canon Pixma MG2450 ink cartridges have a volume of 17 mL for black and 16.5mL for coloured cartridges. Q. How many cartridges do I need to install in my canon pixma MG2450 printer? A. The printer supports two cartridges i.e PG545 and CL546 which is black and colour cartridge respectively. Q. I am a daily user of my printer and tend to exhaust my cartridges quite often. Buying an original cartridge is not economical. What should I do? A. Buying an original cartridge is very expensive. We would recommend you to buy our compatible version of cartridges which are good value for money and highly efficient in quality. The compatible cartridges come in multipacks too which help in saving extra money. Q. My printer is compatible with the Canon Pixma MG2450 ink cartridges. Yet it is not recognisable. What should I do? A. If the compatibility of printer and cartridges is fine and yet the issue persists, try reinstalling the cartridges by selecting the cartridges to be removed. If in case it still persists, you can call customer support services on +44(0)28 308 33221 or drop a mail to us at info@printerinkcartridges.ie and we’ll try to resolve the issue. Q. Is the printer suitable for printing on photo paper? A. The Canon pixma MG2450 is an all in one printer which gives great quality of photo prints. With Canon Pixma MG2450 ink cartridges the photos look lively and bright. The ink is of great quality and doesn’t fade away on glossy or photo paper. It is rather a great deal for printing photos on photo paper getting commendable prints just by sitting at home. Q. I own a Canon Pixma MG2450 and bought Compatible PG545XL & CL546XL Cartridge which comes in a pack of 2. Are these cartridges compatible with Canon Pixma MG3050 printer as well? A. Yes, PG545XL and CL546XL are compatible with MG3050 printer. Our compatible cartridges are compatible with more than one printer. 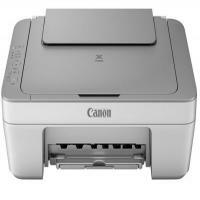 You can visit: https://printerinkcartridges.ie/canon-pg545xl-cl546xl-ink-cartridges to see the list of all the printers with which these cartridges are compatible.